Did you know that Amazon Prime comes with a pretty crappy streaming music service? 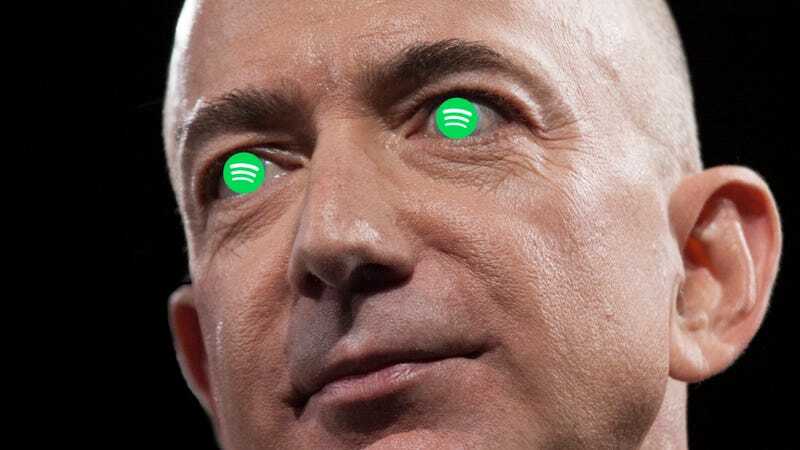 Maybe not, and Jeff Bezos reportedly wants to try again with a new standalone, Spotify-killing music offering. The kicker: Amazon can make it really easy to buy your favorite records, too. The New York Post reports that Amazon plans to launch a much more aggressive streaming music service this fall. Amazon already offers about a million tracks through its Prime Music service—a laughably small number compared to over 30 million on Spotify—but the new service will supposedly be much better. The Post reports that Amazon will charge $10 a month, but will offer a $3 or $4 ·discount for Echo owners. It’s unclear how the new service will work with Echo, but voice-controlled music sounds pretty futuristic. The other intriguing element about this news is the simple fact that Amazon is already the biggest seller of music in physical formats in the United States. (Amazon is also number two in digital music, after iTunes.) You can imagine how appealing it would be to let people order a vinyl copy of their most favorite songs. Imagine getting your super hip streaming playlists pressed onto custom-made records. Amazon will even sell you a record player to play them! All that said, Spotify is hard to beat. It’s the best streaming music service out there, despite attacks from Apple Music and Tidal. Nevertheless, Amazon has a decorated history of charging into new markets and gobbling up all the customers. Who knows, maybe Jeff Bezos will decide to pull a Jeff Bezos and make the new streaming service wildly cheap just to get people hooked. He’s good at that.